US Army Advanced Field Gear Package, VG. 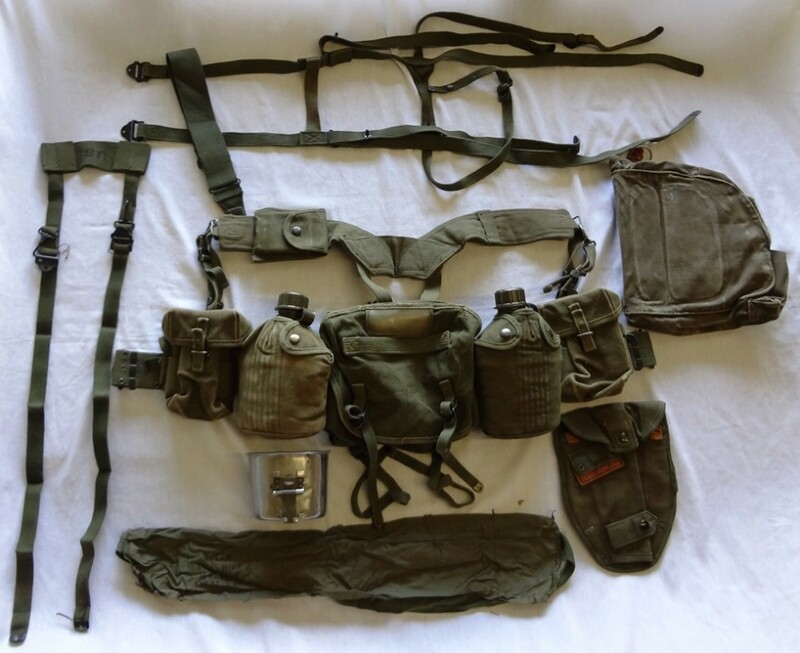 This package includes all of the items from the Basic Field Gear Package plus M-56 Field Pack Adapter, M-56 Sleeping Roll Carrier, M-17 Gas Mask Bag, General Purpose Strap, and a 7 pocket M-16 Bandoleer. All items are in good to very good used condition.